Beware. 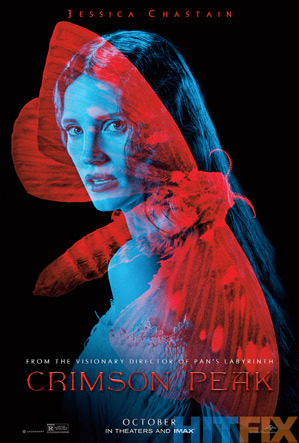 Warner Bros has debuted a set of new character posters for Comic-Con to preview Guillermo del Toro's gothic horror-thriller Crimson Peak - catch the latest trailer here. The director and the film will show up at Comic-Con on Saturday morning during Warner Bros' big Hall H panel, along with likely other appearances throughout the Con. 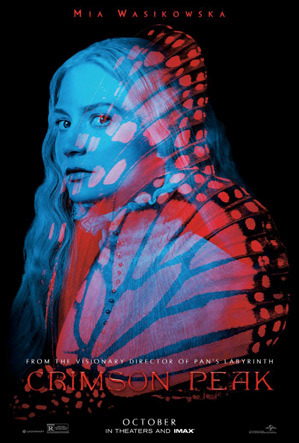 There are four posters, one for each of the main cast: Charlie Hunnam, Jessica Chastain, Tom Hiddleston and Mia Wasikowska. This is already one of our most anticipated films coming up this fall, but I'm still excited to see what they bring to Comic-Con this week. Take a peek. Here's the new character posters - click each one for original source. Headed to Comic-Con this Saturday. 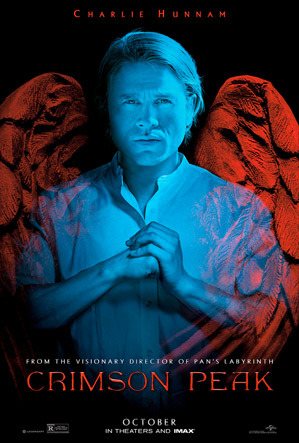 You can also watch the latest trailer for Guillermo del Toro's Crimson Peak here, along with the first one. 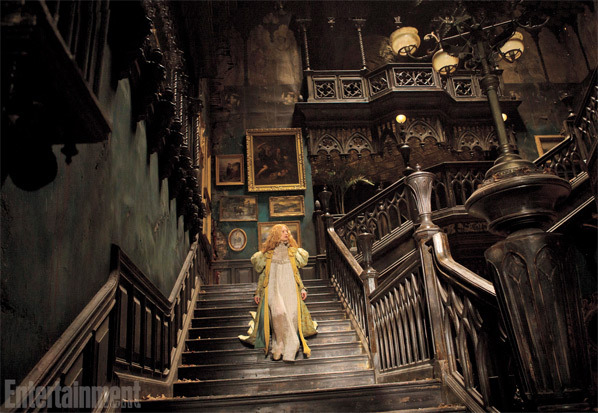 Crimson Peak is directed by Guillermo del Toro (Hellboy, Pacific Rim, The Devil's Backbone) from a script he co-wrote with Matthew Robbins (Don't Be Afraid of the Dark, Mimic) and Lucina Coxon (Wild Target). In the aftermath of a family tragedy, an aspiring author is torn between love for her childhood friend and the temptation of a mysterious outsider. Trying to escape the ghosts of her past, she is swept away to a house that breathes, bleeds…and remembers. 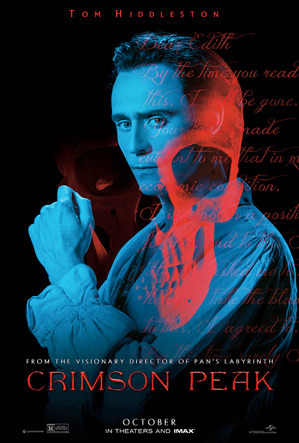 Jessica Chastain, Mia Wasikowska, Charlie Hunnam and Tom Hiddleston star in the film which Universal and Legendary will release this fall starting on October 16th. I'm a huge fan of the horror genre, but the casting of Hunnam in this is a bit worrisome. And I'm sure the fanboys will hang me for saying so, but I can't take Hiddelston either. That said, I'm sure I'll give the film a shot. Hopefully it's a return to form for del Toro. Don't know if that's where I read it first, but I found this quote on Criterion Collection's website: "According to Kubrick's biographer; John Baxter, Kubrick decided to make The Shining after he had seen Rosemary's Baby and The Exorcist, because he didn't like the idea of someone making such good horror films without having been allowed to make one himself to prove that he could do it just as well, if not better." He also screened Lynch's Eraserhead, along with the other two, for cast&crew of The Shining -- Eraserhead being another great horror film. How did you get to almost work with him on FMJ? I'm intrigued. That is fascinating; Thanks for relating your story! I will WILL this movie's greatness into existence! WILL IT I WILL! what a timid little snob you are.